Dunno,,, mine did not have auricaps,,but I'm pretty happy with it,especially after the cap upgrade.I suspect this thing would respond well to some Jenzen PIO caps,I have 4 Obligatto's that were sent (extra),,so if anyone wants em',, they can have them at cost plus shipping. There are 3 versions technically and they are all US versions. When Auricaps jumped in cost Dared stopped using them and went with something (I can only assume) cheaper. They made a version with Auricaps coupling caps; a version with Auricaps and gold PCB and a non-Auricap version non-gold pcb version. All the same pre-amp but just some different parts in those key area's. I opened up my Dared SL-2000A and found 3 different uf values : 2.2uf, 1uf and .047uf with 3 different colored caps. Would anyone know what caps are these? Would the Obligatto Gold Premium fit? not in place of the yellow caps which are pcb mounted,,I had to get creative and mount them on the inside chassis and wire them to the board.H9 had a nice alternative posted above. Brock,,I looked this morning and could not find them,,I must have tossed em'. I'm using the Dared SL2000A preamp with a Tri 88SE tube integrated amp. 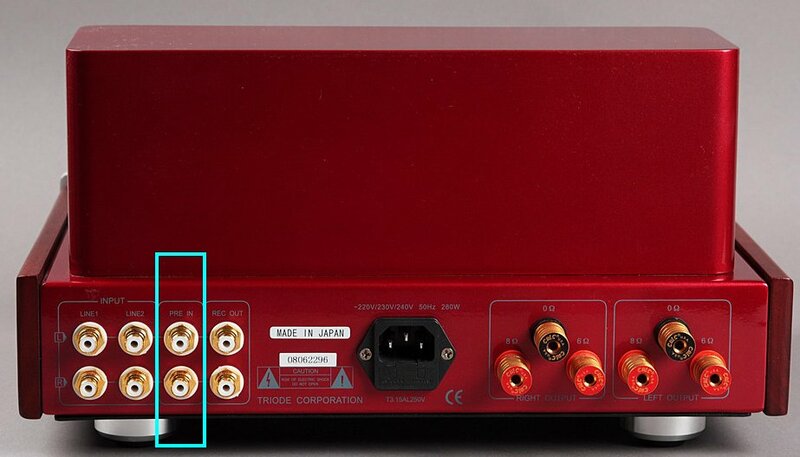 Will the Dared render the preamp section of the Tri integrated amp useless? If so would this mean that the NOS tubes installed in the Tri preamp section will have no effect on the overall sonics anymore? To what extend does the 5Y3 rectifier influence the overall sonic character of the Dared SL-2000A? Is the rectifier as important as the 12AT7 tubes? Hi Heiney. If I replace the caps they should be (2) .22uf and (4) 1uf, right, not lower? Did the original Dared SL-2000A come with all (6) Auricaps? Would it be good enough just to replace just the (2) .22uf input caps? Thanks. If you are connecting your Dared pre to the pre in's, the preamp section of you Tri 88SE is out of circuit (adding nothing). The pre tubes in the Tri are then adding nothing (but don't ever remove and leave a tube socket empty). Rectifier tubes are important, and tube rolling the 5Y3 spot will yield sonic improvement when you find the right tube. I remember an old Dynaco PAS2 I owned that was absolutely "night and day different" based upon the rectifier tube. Your mileage may vary. It's as important as the 12AT7 signal tubes. It uses a 5Z4 or 5Y3. I switch between a Bendix 6106 (5Y3) and a Brimar 5Z4G both are superb but have a slightly different sound. I think I prefer the Brimar over the Bendix. How does the Brimar differ from the Bendix? Only 2 Auricaps on the input and 4 Carli caps for the output. Did you even read or see the photo's in the other thread I linked to? I do too George, I out the Brimar back in and the tone is much better, just superb. Tube buying/rolling will be the death of me. I've found some more that I simply must try. Can I use 12AU7s in lieu of the Dared SL-2000A's 12AT7 tubes? No, but you can use 5965's which are about the same gain wise. jessie52, there is a plethora of information here about the Dared that I or Kieko or George have written about. Try doing a search to get your learn on. I don't mind answering questions, but so far most of what you keep asking has been covered in depth. Hopefully by the end of the day I'll have a new rectifier on the way. Like I said, I just had to bid, win and try these out. I'll post more after the auction ends. I wonder if these VISHAY-RODERSTEIN MKP-1837 Metalized Polypropylene Film Capacitor would be a good caps upgrade for the Dared SL-2000A. They practically cost nothing and their size should fit. Does the Mullard sound close to the Brimar? They are too small and I don't believe they come close to the values needed. They are more of a bypass type capacitor. Have you listened to this with the factory capacitors? Have you rolled some of the tubes for the signal path and rectifier that H9 has suggested? The MKP-1837 are good bypass caps but are not rated at the 400v required for the tube preamp and as coupling caps do not match any of the values of existing caps. With capacitors being a very competitive market you generally get what you pay for and upgrading your Dared's Capacitors will cost you some change to do better than the factory installed capacitors. I don't know what your DIY background and experience is. IMHO, given the high voltages, tube amps would not be my first choice for any type of a beginning project. Speaker crossovers would be a wiser choice. Do you think going from the Dodd ELP to the Dared SL-2000 would be a latteral move or a step above the Dodd?? I like the fact that the Dared has a remote.. Yes, the values are only100v. The reviews recommended them as good bypass caps.